Ever wonder why Malta has always been one of the top European tourist destinations all year round? Are you one of those travelers who fantasizes about this perfectly sun-kissed tropical paradise? Well, dream no more. There are so many things to do in Malta that you’ll likely find yourself wishing you had more time to explore. 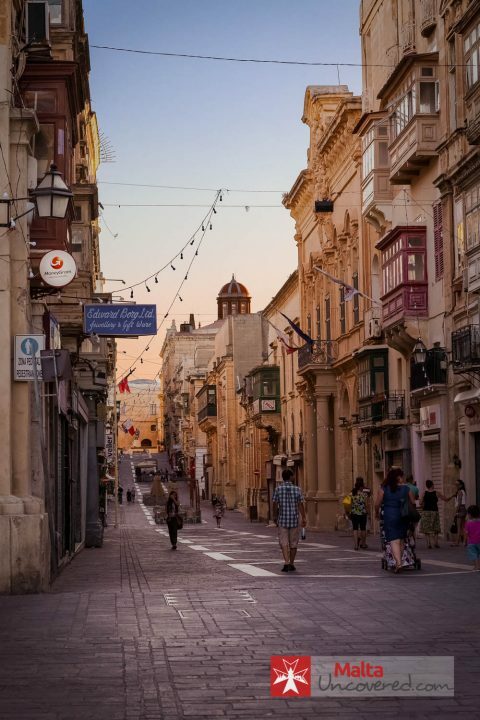 Every year, this small island country attracts thousands of tourists from all around the globe – all eager to have an authentic Maltese travel experience. From its breathtaking views of nature and heritage sites to gastronomic restaurants and vibrant nightlife, there are definitely tons of things to do here. With so many options to choose from, it’s best to plan in advance to make the most out of your trip to Malta. While there are plenty of notable places to visit and activities to do, it helps to have an idea of which one to try first. The cost of living in Malta isn’t as low as it is in Eastern Europe, but it’s generally a better value than most places in the west. 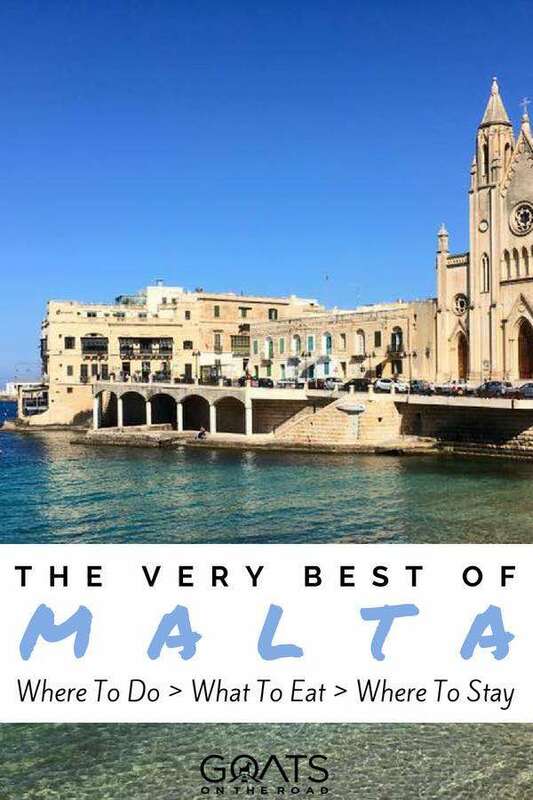 Ed from Maltauncovered.com narrowed down what seems to be a never-ending list of things to do in Malta. Check out some of them below. Also, don’t miss our Malta Videos! Perhaps the best way to get the most out of your Malta trip is to spend your time outdoors. There is no shortage of exciting and enjoyable activities you can do here that will definitely make your stay memorable. From merely basking in the country’s natural beauty to a more physically demanding activity, there’s something that will satisfy your needs. This annual music festival serves as a perfect platform for music enthusiasts to meet and share their passion. It hosts both local and international musicians that brings a wide array of music style. Held every June, the Earth Garden festival is perfect for those who want to chill out and just enjoy music. If you’re a music lover, than this should definitely be on your list of things to do in Malta. If you’re a nature lover, make sure to check out the Buskett Gardens located at the Wied il-Luq in Siġġiewi. Known as one of Malta’s nature reserves, these gardens are famous for its lush and green surroundings. It is home to various types of trees and wildflowers, as well as vineyards. This place is the perfect setting for picnics or family outings. 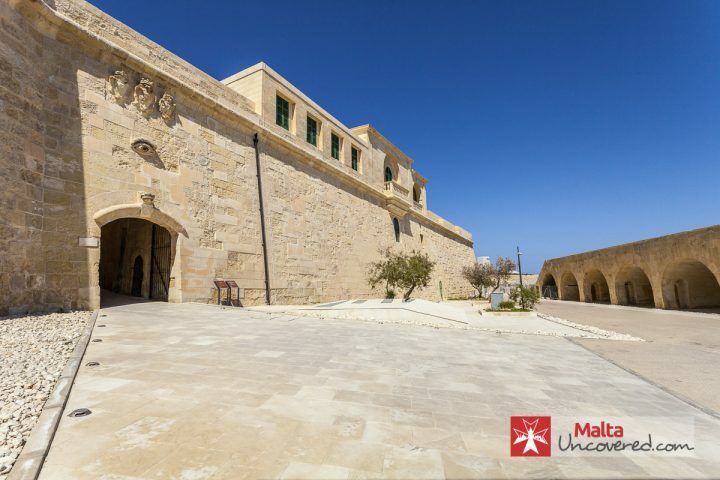 Famous for its rich history, the city of Mdina has been included on the tentative list of UNESCO World Heritage Site. Also known as the Silent City, this place features stunning architecture that has been preserved since the medieval years. A true feast for the eyes, this is one of the country’s most fascinating towns and definitely one of the most popular things to do in Malta. 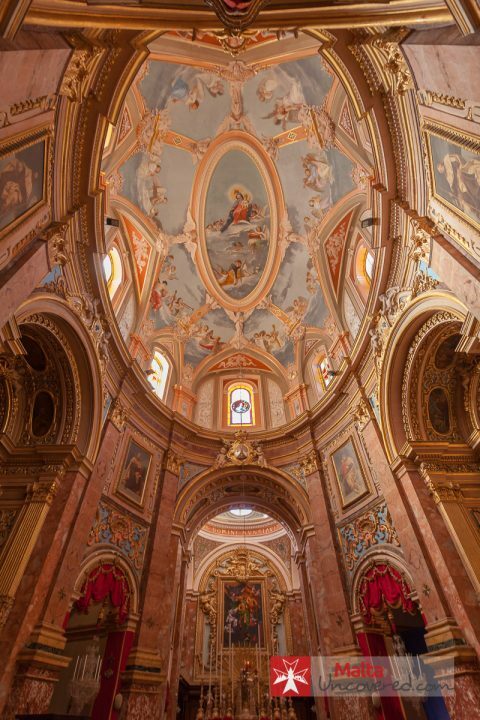 The beautiful church of Saint Roque in Mdina. Located on the south side of the Grand Harbour, Birgu joins Cospicua and Senglea as the famous Three Cities in Malta. This place is famous for its nostalgic ambiance, particularly that of the Medieval times. There’s even a historical re-enactment held every October at Birgufest. The Malta National Aquarium is home to tons of local fish species, amphibians, reptiles, and even insects. Located at the town of Qawra, this place offers a closer look at the country’s abundant marine life without going underwater. Another great place to visit is the Lower Barrakka Gardens. Famous for its panoramic views of the Grand Harbor and breakwater, this place is perfect for those who want to spend to a relaxing time. While there, you might also want to visit its equally stunning twin, the Upper Barrakka Gardens. If you’re into water activities, make sure to try paragliding, windsurfing, water skiing, or simply swimming in the Maltese waters. Some of the best places to do this include the Golden Bay and Mellieha Bay. Proof that the things to do in Malta aren’t just limited to land, there’s just as much to do at sea! Your Malta experience will never be complete without exploring the beautiful island of Gozo. This island features a tranquil haven, complete with historical sites, breathtaking views, and stunning beaches. Continue your island hopping at Comino – a small and serene island between Malta and Gozo. This place has a lot of things to offer to its visitors. You can enjoy the pristine waters of the Blue Lagoon or get close to nature as you camp out at Comino’s campsite. This capital city of Malta is definitely one of the first places you should visit in the country. It has tons of spectacular sites that are sure to give a glimpse of the country’s rich culture. In fact, it is even hailed as a World Heritage site, making it even more popular with tourists. Check out our post: 21 Photos That will Inspire You To Visit Malta to see some more beautiful photos of the country. 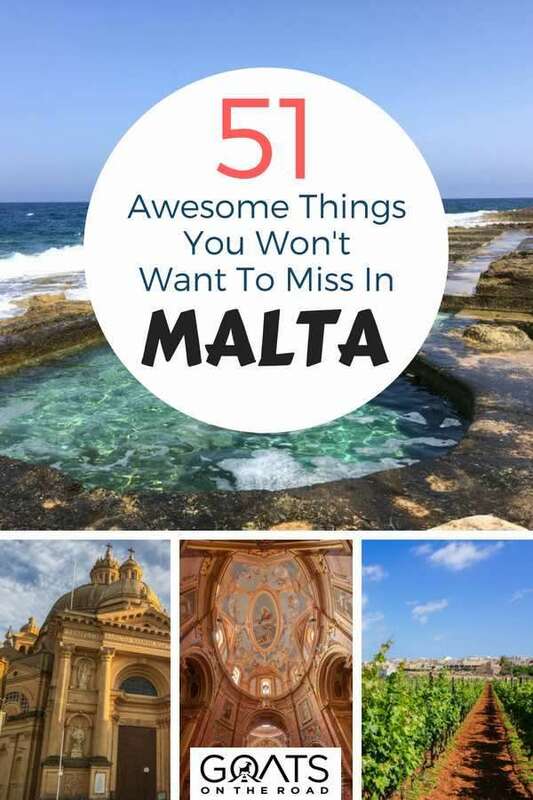 Aside from outdoor activities, there are tons of things to do in Malta. If you’re into a more laid-back past time, make sure to check out some of these recreational activities that will make your vacation extra special. 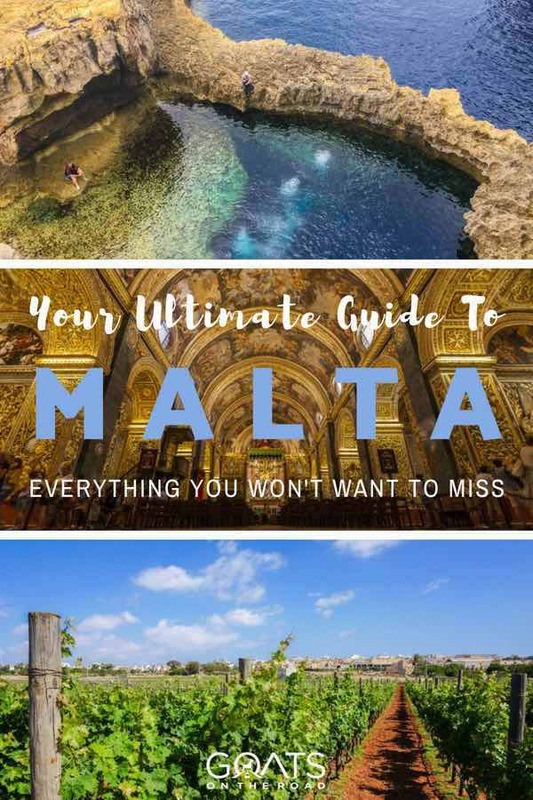 If you’re living in Malta full-time, then you’ll definitely want to add all of these to your list of things to do in Malta! Malta is also becoming popular for its vibrant nightlife. If you’re heading here and want to experience it firsthand, one of the best ways to do it is by visiting its open-air clubs, particularly Gianpula and Marrakech around the Rabat area. If you’re visiting the country in September, make sure to see the breathtaking views of the annual Malta International Airshow. It features stunning flyover demonstrations and exhibition of various aircraft. You may not know it, Malta has an amazing horse race held every Sunday at Qormi. This place is one of the largest residential towns in the country is known for its horse racing, horse breeders, and the traditional “serkin.” Seeing a local horse race is definitely one of the more unique things to do in Malta and makes for a great experience. If you’re up for the challenge, go ahead and check out some of the country’s casinos. There’s one in St. Julian’s, the Dragonara Casino, one in Birgu, the Casino di Venezia, and another in Bugibba, the Oracle Casino. Maltese people are known for their love of music, particularly jazz. If you want to enjoy live jazz music in a laid-back setting, visit Django Bar in Valletta. It will definitely make you understand the locals’ passion for music. One of the best ways to learn about Malta’s rich history is to witness it firsthand. In Fort St. Elmo, you can watch a re-enactment of authentic events called In Guardia Parade. Over 50 re-enactors replicate such events that took place in military fortifications. This is easily one of the most famous streets in the country. Strait Street has always been known for its lively nightlife even between the 19th and mid-20th century. Today, it still lives up to its reputation as one of Malta’s top nightlife destination, with trendy bars, live music, and festivals. Held every June, the Isle Of MTV features an amazing lineup of music artists, both local and international. It’s free and usually takes place in an open-air venue. If you happen to be in the country in June, then make sure you add Isle of MTV to your list of things to do in Malta! Located at the heart of St. Julian’s, Paceville boasts tons of entertainment venues. In fact, it is even considered that entertainment capital of Malta. Aside from clubs and bars, you can find the country’s largest movie theater here, along with bustling shopping area and hotels. Since Malta is surrounded by the beautiful Mediterranean Sea, expect to see boat parties, especially during summer. These parties are even considered one of the main attractions of the country. Some of the boat parties you can join are those organized by Lazy Pirate. Parties usually last for five hours and depart from Sliema. Your Malta travel will never be complete without learning a thing or two about its history. There are many places here that can give you a glimpse of the country’s heritage. From historical sites to interesting real-life stories from the locals, it’s definitely going to be a fun and educational experience. The country is home to many beautiful churches, which witnessed and withstood its rich history. Some of the most notable churches you can visit here include Ta` Pinu Basilica in Gozo, St. Paul’s Cathedral in Mdina, and the Mosta Dome. Tourists are encouraged to see the country’s annual carnival event held every February. It features spectacular floats with interesting themes matched with lively music and performances. This festival is a way for locals to kick off the Lent season. Every last Friday of the month, at around 10am, locals and tourists alike can watch the changing of the guards at the Presidential Palace in Valletta. If you’re staying near the area, be sure to check it out. In Valletta, you can watch some educational documentaries that give a closer look at the city’s rich history. One good example is the Valletta Living History, which is aired at Embassy cinemas in the city. If you’re up to a creepier challenge, why not take part in one of Valletta’s ghost tour? The city, which went through dark times in the past, witnessed several deaths, murders, and executions, making it inevitable for ghost stories to exist. This is one of the things to do in Malta that will have your skin crawling and the hair standing up on the back of your neck. 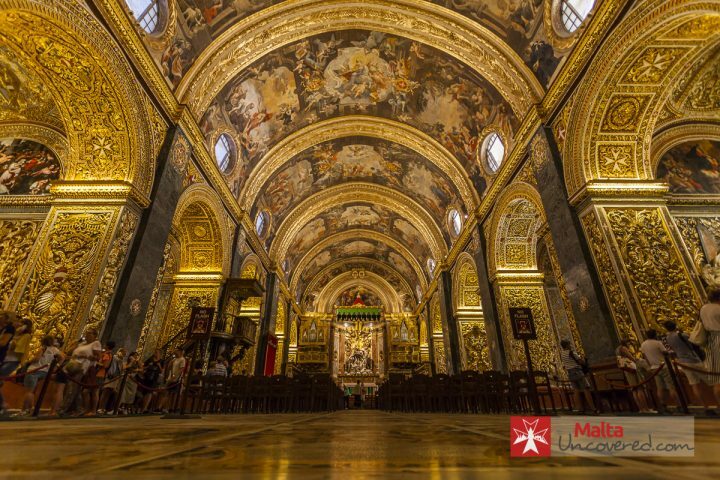 This incredibly ornate cathedral, which was built in 1578 by the Order of the Knights of St. John, is one of the main tourist attractions in Valletta. It boasts some of the finest Caravaggio’s paintings and breathtaking interiors. Of course, when visiting this country, buying souvenirs will always be on the list of things to do in Malta. One of the best places to pick up handcrafted keepsakes is at the Ta` Qali Crafts Village. Not only will you be able to bring home a part of the country but you can also help the locals who made them. Aside from its breathtaking views and interesting history, Malta is also known for its freestanding structures, such as Ħaġar Qim and Mnajdra Temple complex. In fact, these architectures are considered one of the oldest in the world, so it’s definitely worth checking out. Glassblowing has been part of Malta’s tradition. If you’re heading to the country, be sure to check some of the most amazing glass masterpieces created in a traditional way at Mdina Glass in Ta` Qali. Maltese people are known for their love of celebrations, and it definitely reflects on their annual firework festival. Tourists and locals alike can enjoy this spectacular array of colorful explosion during spring at the beach and other locations. Nothing beats indulging in scrumptious dishes after a long day of sightseeing and fun activities. In Malta, there are tons of delicious meals you can enjoy any time of the day. From local delicacies to various fusions of foreign influences, there’s definitely something that will tickle your taste buds. If you’re visiting Malta around mid-July to late-August, be sure to attend the Wine Festivals organized by local winemakers. The events feature the best-tasting wine around the country and are sure to impress wine lovers out there. Malta has great wine, so if you love wine, this will be one of the things to do in Malta that you won’t want to miss. Tourists have been raving about the delectable Mediterranean cuisine of Malta. One of the best places to experience it yourself is a small restaurant called Legligin in Valletta. This is arguably one of the best restaurants in Malta. It offers delicious meals matched with good wine that will definitely give you that authentic Maltese experience. You may not know it, but the country is also famous for its fresh and juicy strawberries. In fact, it celebrates an annual strawberry festival called Festa Frawli in April. Guests can check out the agricultural village of Mgarr where the freshest strawberries are grown. For the best tasting local drinks and snacks, you might want to try Twistees, Kinnie, or Cisk. It will give you a glimpse of the Maltese people’s interesting palate. Malta is abundant with various seafood that you can enjoy any time of the day. If you are craving for some fresh seafood, check out the restaurants lining the seafront of Marsaxlokk. Your Maltese experience will never be complete without trying their local delicacies, such as fried rabbit or Fenek Moqli. Many restaurants are serving genuine Maltese food that will introduce you to the country’s cuisine. Many locals recommend eating pastizzi as early as breakfast. This traditional savory pastry is considered a traditional street food filled with either ricotta or mushy peas. There is an annual beer festival in Malta, called The Farsons Beer Festival, held every July. It features locally brewed beers and other international brands, making it perfect for beer lovers out there. If you are looking for a relaxing past time in the afternoon, go get an afternoon tea at Palazzo Parisio in Naxxar. One of Malta’s specialty is called Hobz biz-zejt, a typical sandwich spread with sweetish tomato paste and various toppings. It is a common snack that can be found in many local bars, especially at Olympic Bar in Mosta. There are so many great festivals in the country. Whether you like music, food, wine or art, festivals are one of the top things to do in Malta and for good reason. 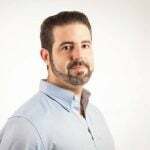 This is when the locals, expats and tourists all come together to celebrate and have a good time and it will give you the opportunity to meet the friendly Maltese people. This free cultural event is held in June at Buskett Gardens in Malta. It is considered one of the oldest celebrated feasts on the island, dating way back to the Knights of St. John. Typically, locals celebrate this event with fairs, folk music performances, drinking, and eating traditional rabbit dishes. Happens daily, except for major public holiday, in Battery Street, Valletta. It is one of the oldest saluting battery still in operation anywhere in the world. Guests will not only enjoy its rich history but also the stunning beauty of the Grand Harbor and surrounding towns. Today, gun salutes are fired during special occasions, such anniversaries, religious feasts, and welcoming dignitaries and vessels. A public holiday held every February 10 in Valletta. This feast is one of the most popular events attended by many locals and tourists alike. It symbolizes the country’s faith in Catholicism, which is an important factor in their identity. Typically, the feast features religious ceremonies and processions, making the streets really busy. A festival that takes you back in time. It happens annually in Mdina, Malta. Tourists are sure to enjoy a two-day performances in various locations. Some of the must-see performances during this event include re-enactments from the medieval period, battles, pageantry, magic shows, live music, flag throwing shows, and more. Malta celebrates its Independence Day on September 21. There are tons of things to do and see during this event, making it perfect for tourists. Some of the highlights of this celebration includes a military parade in Valletta, several music concerts, Pontifical Mass, and performance from the National Orchestra of Malta. Watch some great artists and performers in Valletta from June to July. Every year, various local artists showcase their skills with broader audiences through this event. Some of the must-see performances include music, dance, visual arts, theater, opera, and more. Guests can also witness world-class performances from renowned local and international performers. If you’re into the arts, then the Malta Arts Festival should definitely make your list of things to do in Malta. Enjoy a laid-back setting with good wine and food at the famous Hastings Garden. It is known for its cultural and entertaining concept that have been enjoyed by thousands of guests each year. The Marsovin Summer Wine Festival offers the perfect combination of music and good drinks. During the event, guests are treated with performances from professional musicians, as well as a selection of over 30 certified D.O.K. and I.Ġ.T. quality wines from grapes grown locally. Taste some good wine and delectable food that matches the relaxing ambiance of Upper Barrakka Gardens in Valletta and Nadur in Gozo. This celebration is a way for many locals to commemorate a good harvest, as well as showcasing the Maltese palates. Guests are sure to enjoy various entertainment, cultural, and gastronomical events during this festival. A one-night art extravaganza held every first Saturday of October in Valletta. Locals and tourists alike get to enjoy a spectacular celebration of culture and arts matched with delectable food and beverages. The festive mood can also be felt at the streets and piazzas, where various performers entertain the crowd. Birgufest gives every guests a memorable experience. Held at the beginning of October, this festival features historical re-enactments and laid-back activities, such as candlelit dinner in the town square. Most museums around the area are also open for longer hours and offer discounted prices to commemorate the festival. Guests can also enjoy a vibrant celebration in the streets, complete with lively music, processions, and church services. Car lovers will enjoy this event held in October in Mdina, Malta. It features classic cars and cultural activities, alongside the race. This is the perfect way for car enthusiasts to celebrate their passion in a unique and historical setting. These are just a few of the things to do in Malta. There are still tons of stunning places to visit, fun activities to try, and good food to eat in this country. Even though Malta is a relatively small island, it’s jam packed with history, beaches, cool architecture and fun things to do. So go ahead, take your time and explore this little paradise.